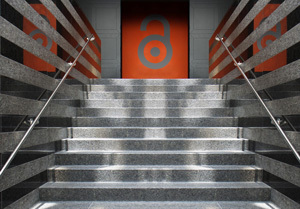 For the next Research Excellence Framework (REF) process there is a policy on open access. This policy states that to be eligible for the inclusion for the REF journal articles and conference contributions accepted on or after 1 April 2016 must be deposited into a repository. University of Warwick’s policy is that all outputs should be deposited in our institutional repository, WRAP. Deposit the accepted, peer-reviewed version of your paper. This is the version that has not had any publisher copy-editing but incorporates any changes following peer-review. As soon as possible, but no later than three months after the date of acceptance. Where should I deposit to? To our simple deposit form. Please email publications at warwick dot ac dot uk. View or print the 3 step process. Once you have deposited your article into WRAP it will be made open access in accordance with any publisher embargo policies and the team will contact you if there is anything else we need from you to ensure compliance. Please keep your WRAP publications list up to date. To update an earlier publications deposit with a web link/DOI, or final volume number/publication dates, please use request changes form. The HEFCE policy asks for the author’s accepted and final peer-reviewed text (which may otherwise be known as the ‘author manuscript’ or ‘final author version’ or ‘post-print’). This is the last ‘author owned’ version before the publisher begins copy-editing and additional added value services. 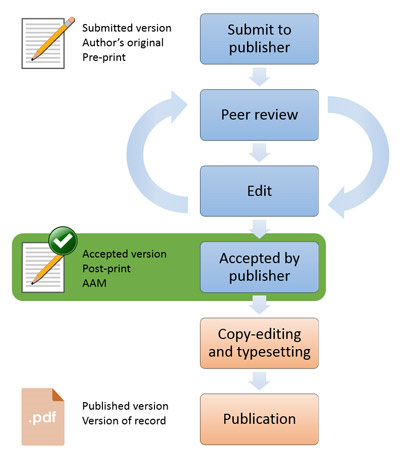 As shown in the diagram it is the version that incorporates all of the changes after peer review and is formally accepted by the journal. To be eligible for REF submission, journal articles and conference proceedings must have been deposited in an open access repository, and made open access within a specified time.